This gives you the peace of mind that in the very unlikely event something should go wrong with your new composite door, you can get it fixed quickly and conveniently at no cost to you. Gallery of stunning, strong Solidor composite doors. Simply put, Solidor make the very best composite doors in the market today, packed with features, high security and market firsts that aren’t available on any other composite doors. Available in a range of unique colours and beautiful features are just a few of the reasons why Warmite recommend Solidor products. All Solidor doors are based on our proven 48mm design which is 10% thicker than their nearest competitors. Solidor hardware and accessories are also sourced from world leaders in their respective fields and importantly, are free from harmful lead additives. The Solidor range is by far the widest in the market and now over 15 colours and woodgrains inside and out, including a number of exclusive finishes such as Mocha and Duck Egg blue. 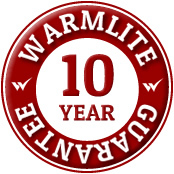 Warmlite can offer a range of 18 colour combinations for the door frames. The doors are ‘through colour’ not just a simple gel finish or stain on the surface. Security is at the very heart of Solidor composite doors and with exclusivity on the Avantis lock, arguably the most secure yet in the market. We also offer Mila’s Pro Secure handle, the Avantis cyclinder guard and other security enhancements to help make your front door the most secure possible. your property without a key. You can use the remote control like your car, or enter your own 4-12 digit code into the built-in keypage.Yale Keyfree couldn’t be easier to use and because it’s brought to you by Yale, you know its technology you can trust. Keyfree also harnesses a 3 hook Masterlock for exceptional security.With Yale Keyfree everything’s covered. The unit is powered by it’s own batteries, so even if the power fails it still works. It’s also backed up an override key for emergencies and unless you ask it not to, will even talk to you as you use it. Go on go Keyfree with your Solidor composite door, you’ll be the envy of your neighbours! As you would expect from a pioneer in the composite door market, we’ve pulled off yet another first in the door market with the introduction of the Heritage Door Lock. This new lock satisfies the need for traditional looking rim latches on composite doors, yet with the benefit of high security, multipoint locking. The AV2 is seen as an upgrade from the standard Key Wind Up and traditional rim lock used on our doors. Up until now, modern multi-point locking systems haven’t lent themselves to doors that feature pull door furniture, particularly Georgian and Edwardian period doors and it has been a topic of discussion for the composite door sector! Get For further information about installing a Solidor composite door for your home, a free site survey of your house or property with a no obligation quotation or to arrange an appointment.